The behavior of an addicted individual to drugs or alcohol can be frustrating, irritating, frightening, baffling, and sad. Substance abuse has strong power to change behavioral patterns of an individual and it can be overwhelming. In most cases, a drug addict’s actions, words, and thoughts are always dictated by the urge to consume more drugs, however close folk,s and relatives may not comprehend why they are acting that way. 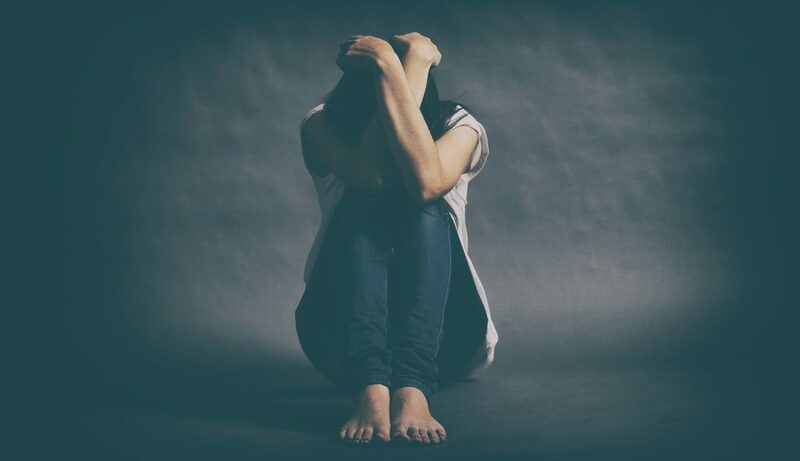 Many people who are dealing with a drug addict, whether an adult or a teen, don’t realize that their awkward behaviors such as abuses, laziness, carelessness or criminal acts, are caused by the drug abuse. The mystery can continue forever until it causes death, if not intervened. Though not all drug addicts change their behavior, and some people who consume alcohol or drugs continue with their responsibilities such as work and family normally. Besides, they can’t be alright all the time and excel in all parameters of life, effects appear like stress, mostly behind doors. Colleagues may have no idea whether he is addicted, but family and close friends may never notice it for a long time. 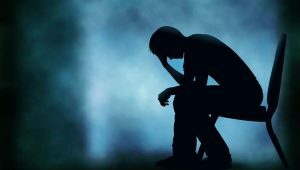 When a close friend or family member is addicted, you may be stranded and lack idea on how to face the situation. Drug addictions change the appearance of a person and even their moods. Truth is said it can be difficult to face him or her. Discussed below are some alarming behavioral changes that might cause you to intervene. Any person going through this kind of behaviors needs help to recover. An addicted individual will increase the need for privacy. Drugs and alcohol are often consumed in privacy for the obvious reasons. Most of the times they will want to be alone in their room or at a certain corner in the home compound, and when asked they will claim they are fine. Kids who are addicted will not want people to keep on entering their bedrooms and in some cases, they will lock it. Drugs and alcohol are expensive, and in instances where one has no enough money to purchase them, they will steal, lie or commit crimes to obtain the substances. In most states, many drugs are illegal to possess, distribute or consume and thus drug addicts will hide their behavior from authorities, family and friends. They will always want to spend most of their time locked in their offices or even the bathrooms to keep the addictive behavior alive. Most substances use impact on the central nervous system; some slow down its function or can make you high. In most experiences with drugs use, one experiences an enhancement of euphoria. Drugs abuse can destroy how your brain functions, thus affecting your reward and pleasure. A brain that has been dependent on substances can rarely get any reason to be happy without taking the drugs. Thus, addicted persons swing between depression feelings and periods of pleasure. The outcome of the drug consumption lies between the two feelings, and hence they might come home depressed and very sad and after few hours, just on their own, they emerge extremely happy and contented. Drug consumption is always a secretive affair and addict’s will tell lies to cover up their behavior. They cheat to misguide people on their whereabouts, whenever they are purchasing or consuming the substances. Most drugs are expensive and drug addiction life can be expensive to maintain. He will lie about where the income or an allowance went when asked. The more cravings they have, the more they will lie to satisfy the urge. In a case where you have trusted a person for many years and suddenly, they start telling lies, it can be difficult to set the truth aside. Addicted people are very skillful when it comes to lying, and they can fool close friends and relatives for years. Sadly, they are damaging their health and general wellbeing drastically. If you notice the behavior has changed, and the reasons given don’t add, you must rely on your common sense and intervene before the situation gets out of hand. An addict is usually full of excuses; if they don’t make sense, you are being lied and there is a reason for the lies. “ I got an emergency and I need 20$ from you right away,” you have been probably heard that, and the emergency was not stated but the key point was they needed certain money instantly. Hold onto your common sense. Surprisingly, strange incidents keep happening to them and they will never lack a way on how to get away with them. Drastically, their life becomes centered on chaos which is camouflaged by lies. Every person wants their kid, friend, parent, colleague or even the neighbor to be successful and be happy in life unless they are also addicted. No matter how you inspire them to make the right decisions in life, they never heed the advice and will manipulate you. The most awful manipulation occurs between a husband and wife or a girlfriend and boyfriend. When you get your partner consuming drugs or alcohol, they swear that they will stop taking them, to go to church, to get better work, and stop visiting the drug dealers or their friends whom they consume drugs with. as a loving partner you perhaps believe in what they promise and hence you relax and let up the pressure. No sooner the pressure cools down at home than they pretend to be loving and responsible for a while and later kicks into drugs use again. All bets are off. Addicted person can even call at 2 am begging to see a loved one, but even when they meet, they only ask for money to buy essential basics like food, clothing, and medicines. It is all manipulation, all of it will be used for the purchase of drugs. Unluckily, the manipulative behavior goes on for days, months, years, without being noticed, not even by close family members. Until when they have squandered everything, family and kids are in danger, they will run away. All the promises of an addict are mere manipulations and should not be believed. 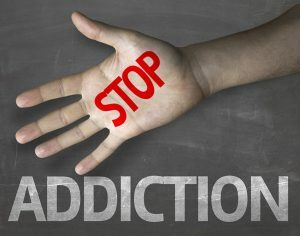 As the addiction journey goes on, an individual loses interest in things he or she used to enjoy, and everything revolves around drug consumption. They might stop socializing with their folks and friends. At work, they may very cool and even difficult to approach. One may stop visiting relatives, going to school or work; simply their mind, energy and time are dedicated to drugs abuse and use. They will no longer enjoy their hobbies such as swimming, dancing, watching movies or nature walks. If you have such a friend or relative, it is important to take the right measures as early as now. Though this is not a behavior to all addicted individuals, it is common in many addicted individuals for some time until when they ran out of money. They have sold all valuable items in the house and owe almost every relative and friend money. At the point that they have nothing else to sell to get money to keep taking drugs, they get into crimes. Most addicts will start to sell or manufacture drugs to get some dollars to buy drugs. Other addicts will get into identity theft, burglary, credit card theft, shoplifting, robbery or car theft. Some employees may steal items from their place of work, to sell or pawn. Accountants who are addicted can embezzle from the firm since in most cases they have access to the company’s cash. To the extreme, they get into their friend’s house or relative’s and pick items and sell them. People who are addicted to prescriptions are involved in different crimes. One will visit various physicians to get the drugs or can forge prescriptions. Fortunately, in most countries this gap has been sealed, and it can be difficult to commit such a crime. In other cases, perhaps the common ones, people drive when drunk or high, which is against most state’s laws. Consumption of some drugs causes aggressiveness in a person or paranoia feelings which can lead to domestic violence. Sadly, taking some drugs makes one lack sense and self-respect or love and they can even turn into prostitution or any activity that will earn him or her money for buying drugs. Addicts are mostly irresponsible and always think about the consumption of drugs. Although somebody may have in the past lived a quality and meaningful life with respect, the drug addiction erases it all and they no longer bother. Whatever happens to his or family or at work or even to him or her isn’t his or her fault. Whether he gets fired from a job due to drug addiction behaviors, it is not him or her to blame, it is the boss, they were just a target. If they are involved in a car accident, it will never be their fault, they are always on the right side. Family members and caring folks will plead to him to get another, be serious with work, stop taking the drugs and to think about his or her family, but no matter how many times they are advised, they will continue abusing drugs. Though to some they may want to stop, the urge is strong. They will do anything to keep the drugs coming. It is so heart-breaking that their blame game can become violent and abusive. Also, it is tragic that most addicts think that their close friends and family members are threats and malicious. They never carry any faults, and they can physically, emotionally and mentally harm close friends and families. In most instances, the partner goes through blame and abuse, very painful experience. It becomes very difficult to reason and to do the right thing in such a circumstance. The mental and emotional abuse can deprive your energy and motives for dealing with the issue, drug addiction. In some cases, spouses are browbeaten causing them to submit for a couple of years. Physical abuse can be tragic and more also to persons who can’t fight back like elderly parents, kids, and women. The behaviors of addicts can be scary and difficult to cope with. They are unpredictable, and one needs a lot of patience. The first and vital thing to put into your mind is that you are not the one to blame for their behaviors or drug addiction, it was their choice. No matter how the manipulation is strong, be certain it is a lie and they just want to satisfy their urge to take drugs. Research on drug addiction, and especially the substance that they are addicted to. Have knowledge on how to deal with such cases professionally. You can even visit a rehab and consult. Understand the reality behind their behaviors, don’t get drowned in the fantasy world of addiction. Accept the reality; that your spouse, kid or a close friend is addicted, and they need your help despite their irritating behaviors. Avoid blame game, don’t blame yourself for their actions. Start acting now, all that is in the past. What could have been done was not done, but now you can do something and change the situation. Set boundaries, tell him or her where he or she can’t cross. Boundaries are important to the addict and to keep you safe too. Be clear, and consistent on what should be done and what not to attempt. Most important, accept that you cannot change how an addict behaves and you need to have an intervention setting. The goal of an intervention is to encourage the addict to adhere to the boundaries and seek medical support. No matter what you do, you will never change his or her behavior. Be committed and don’t be manipulated by their sweet words. Moreover, take care of yourself. If you are stressed about the situation ask for support from family members or close friends, it can be depressing. I understand, have been there. Staging an intervention can be a great way of encouraging your loved to join a rehab. if conducted professionally, it can save his or her life. It is a structured conversation between the addict, loved ones like family members and close friends, supervised by an intervention expert. If conducted in a loving way, the addict can openly confess his feelings about drug abuse. In cases where you have talked with them personally and it is not working, consider a group intervention. The aim is to assist the addict to realize how harm his addiction behavior is affecting him or her, family, and other responsibilities he or she has. Addicts are hard to deal with, and it can be trickier when you must approach them. Friends, family members or any other concerned person, always have good intentions towards the addict’s life, but one may not have an idea what and when to say it, not even how. Moreover, the addicted individual may deny that they are having an issue with drugs or fail to talk about it. Always borrowing money with sensible reason. Aggressive, violent and many times moody. Secretive and always limiting the number of people who get into their room or office. Change in their physical appearance. Red eyes, they no longer care how they look. One can even put on a cloth for a week or forget to shower. Problems at their workplace or school. However, amongst all those chaotic situations which can be traumatizing to face, there is a ray of hope. An addicted person can recover and resume to his or her normal life, but only if they get professional support and in the right way. If an addict gets the right intervention and receives medical support there is a high possibility of getting your responsible loving friend, spouse, kid, or colleague back. The following are some ideas on how you can conduct a professional intervention. It can be very difficult to approach an addict and make him or her talk about drug abuse. Talking to him or her alone can even worsen the situation. They can become violent, stubborn and deny everything you tell them. Never attempt it alone, no matter how close you are. Hence, by finding an intervention specialist, will make the conversation easy. They ideally assist the addicted people to admit that they have a problem with drugs abuse and they require help. 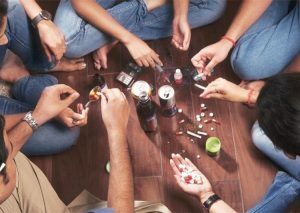 Get various specialists on drugs addiction, to help you( family and friends) in assisting the addict. You might include his or her children, grandparents, and other close people to him. Though, the kids and the elderly should be prepared in advance what to expect like confrontations. Those involved in the intervention should learn and rehearse before the intervention with the help of the specialist. They are educated on drug addiction and recovery process. By getting this knowledge, one can have ideas what to say to convince him or her to seek medical assistance. Choose a place that is not threatening, or scary. It should be a familiar place to the addict. This helps to relax and soothe the addict during the intervention time. Get a time when the addicted person will be sober and make the time short; between half an hour to one and a half hour. Nobody can predict how a person can react when confronted and especially a person who is dependent on a substance. They can become uncontrollable, abusive or violent. Luckily, that is why you should have an intervention specialist, they always know how to calm them. Their objective is to keep the conversation going on peacefully and for it to be successful. But in cases where they are totally out of control, dial 911 Asap. It is never too late, and it will never be, this is the right time to stage an intervention. You know your loved one is suffering. They have portrayed all signs such as isolation, the frequency of borrowing money, telling lies and so many other behavioral symptoms. Also, it can be seen physically that they are addicted. They are either very hungry or never have an appetite for food, red eyes, sleepy all times and other detrimental signs you can see on their bodies. It is time. Act and save their lives. An intervention is normally well-timed when they still got breathe and there has never been a wrong time when doing a right thing. The more they get addicted to the drug, whatever it might be, the more difficult it will be to bring them back. Take time and don’t be discouraged despite their behaviors. There is still a big hope, intervention, and rehab.